Euro is still being corrected. Most likely, after completing it, price may start falling down towards the group of lower fibo-levels at 1.3465 – 1.3455. After reaching them, price may start new correction. 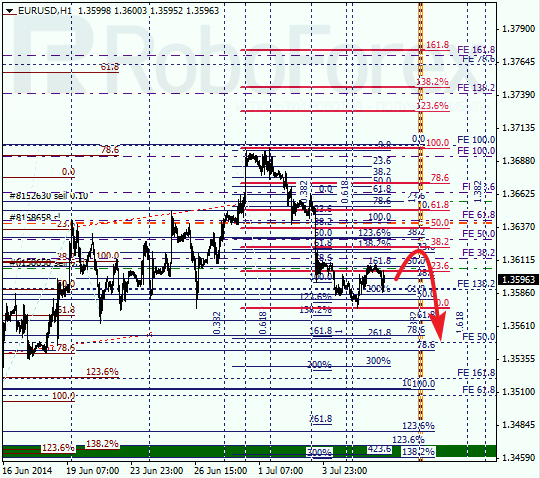 As we can see at H1 chart, target for current local correction is at fibo-level of 38.2% (1.3620). Possibly, price may reach this level inside closest temporary zone. If market rebounds from this level, I’ll open another sell order. Franc is also still being corrected. 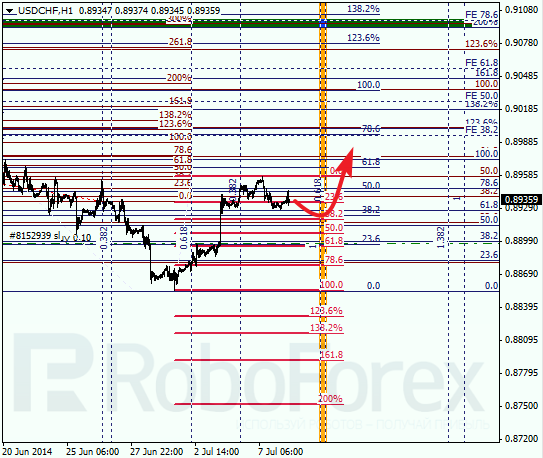 Most likely, after a short pause, bulls will continue moving towards the group of upper fibo-levels at 0.9105 – 0.9095. Pair may reach new high during the next several days. As we can see at H1 chart, current correction is almost horizontal and its target is at local fibo-level of 38.2%. According to analysis of temporary fibo-zones, price may reach this level by the middle of the week.